If you have been following what’s going on in the world of professional boxing, you probably know how much fans want to see these two in the ring at the same time. We are ecstatic over this match that will take place on October 1st in Neubrandenburg, Germany. Online betting sites will be assaulted by people who want to bet on this one. What a frenzy! ! Check out this site that gives you promo codes for your future bets: maxsportpromocode.co.uk. 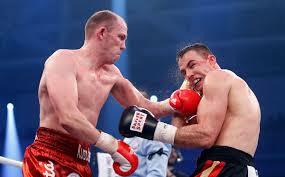 The pair should have met in London in 2011 but Braehmer’s eye injury made it impossible for the fight to take place. In 2015, they came pretty close to sharing a ring but nothing happened because Cleverly wanted to fight in America instead. Well, it seems that the stars have aligned and this fight is going to happen. Let’s hope nothing jinxes it in the remaining time. If you read their statements, it looks like the night will be incendiary. Promoter Kalle Sauerland seems to think the same and warns fans to get ready for “an explosive fight and a great night of action in Neubrandenburg.” Our advice for you is to keep your enthusiasm in check when placing the bet because this is about making money, not personal preference.